At the height of the First World War an average of twelve and a half million letters were sent each week by family, friends and lovers to soldiers fighting on the Western Front. The British Army considered it essential to morale that its men should be able to communicate quickly and regularly with those that they had left behind. To that end, great efforts were made to ensure that letters would be delivered to their destination within two or three days of being posted. 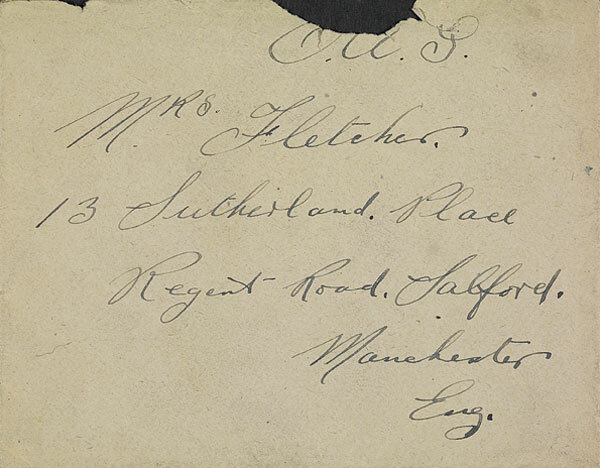 Letters to, from and between soldiers at the front were the responsibility of the Army Postal Service (APS). Letters were directed through a vast, makeshift sorting office called the Home Depot, erected in London’s Regent’s Park. Working in what was at the time the largest wooden structure in the world, 2,500 mostly female staff (35,000 women were employed by the Post Office in the first two years of the war) handled over two billion letters and 114 million parcels in the course of the conflict. The Home Depot was sent daily updates on troop movements in order to be sure that letters were sent to the correct destination. Post was then transported out to Europe via a fleet of army lorries to ports on the south coast of England. On arrival at APS base depots at Le Havre, Boulogne and Calais, the letters and packages were transferred to supply trains that transported it, under cover of darkness, to staging posts at which it could be picked up by APS lorries. In 1917, over 19,000 mailbags made the journey across the Channel each day. On arrival at army camps, letters were loaded onto carts that were wheeled out to the front lines and their intended recipients. Letters from home were handed out with the evening meal. Men could post letters home at post offices set up in the field. At the start of the war, according to the Defence of the Realm Act, junior officers were under instruction to read every letter sent home and to redact sensitive information. By the end of the conflict, soldiers were able to select an ‘honour letter’ in order to talk to their loved ones without fear of censorship. 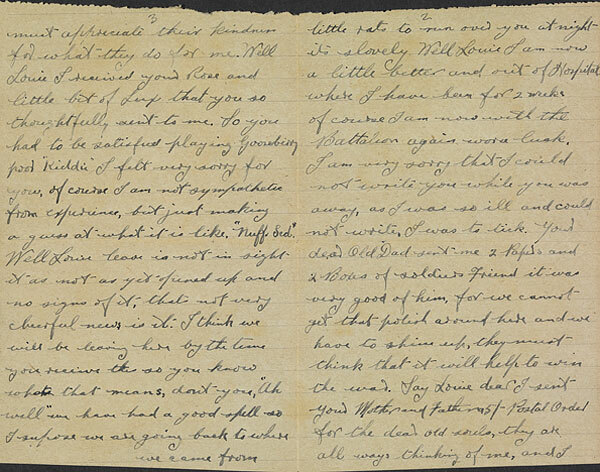 The letters from soldiers that survive today are both moving first-person accounts of the tedium, trauma and loneliness of war and important historical records that allow us to understand the First World War from the perspective of those people who fought in it. The BBC give us a detailed run down on the importance of letters to men at the front. 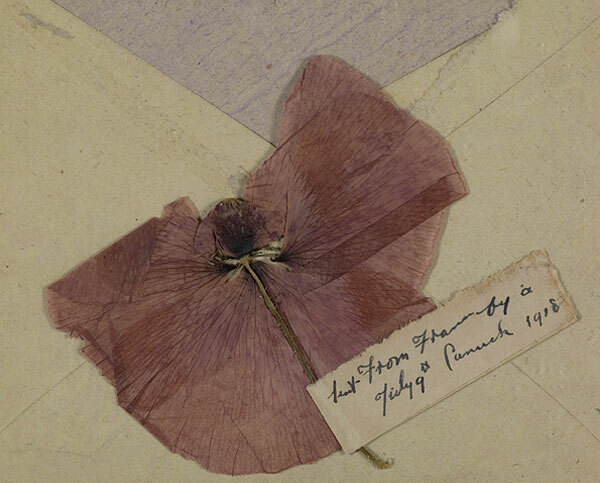 Last Post: Remembering the First World War explores the effect of the events of 1914-18 on the Post Office and its people and the contribution of postal communications to the war effort. 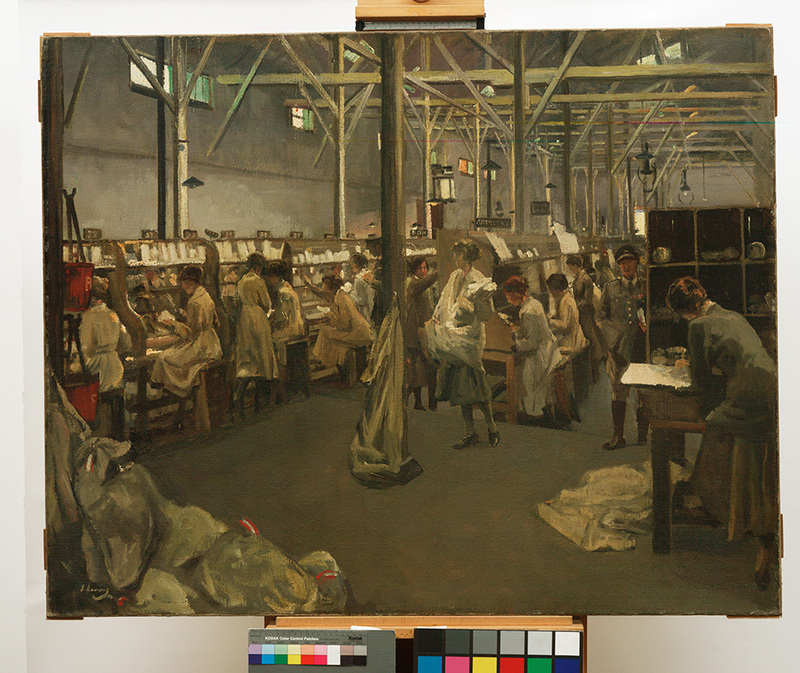 Army Post Office 3, Boulogne, 1919 • Lavery, John (Sir) (RA) (RSA) • Image: The interior of a factory-type building that is being used as a post office. Female postal workers sit at rows of desks that have various shelves above them. A male officer in uniform stands on the right and there are empty postal sacks in the left foreground.